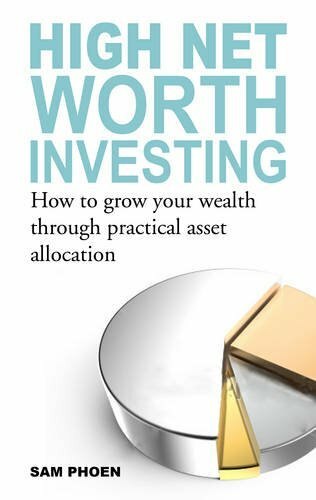 This book is a guide to personal investing in both (a) 'High Net Worth Individuals", generally defined as having $1 million in assets, as well as (b) Investors with $100,000 to $1m in assets - i.e "Preferred", "Priority", "Gold", "Treasures" bank customers - the fasting-expanding wealth category in Singapore and globally. Much of the financial world is shrouded in complicated jargon. This book demystifies the big concepts and shows how individuals can secure their financial future by understanding the big picture and the proceeding in small steps. To help investors know what they are buying, this book explains all the asset classes and major financial products that are accessible by individuals currently. Importantly, it points out the less obvious pitfalls that are usually not highlighted by the sellers of financial products. While most financial literature relies on cookie-cutter investment plans, and often only works if one has a few million dollars in the bank, investors with a few hundred thousand dollars often do not get the best advice. This book explains how these investors can devise asset allocation strategies to best suit their individual resources and needs. If you have any questions about this product by Marshall Cavendish International Asia Pte Ltd, contact us by completing and submitting the form below. If you are looking for a specif part number, please include it with your message.